Where is the limit to agricultural innovation? That‘s what a friend of mine – a Romanian living in the Netherlands who took the picture – recently asked herself. 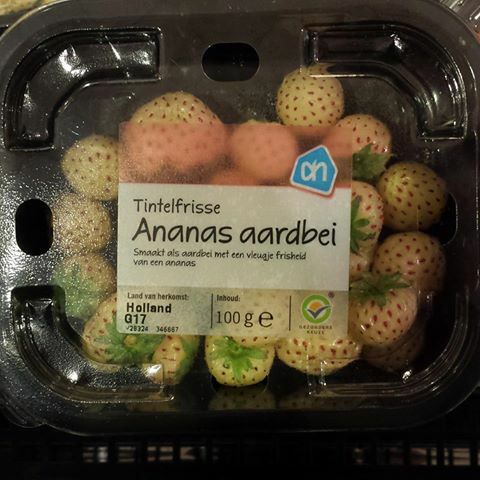 Nowadays, you can buy Pineberries in her local supermarket. Pineberries were of course bred by traditional methods. There are contradicting sources on the web. Some say that Hans de Jongh collected the few remaining plants in 2003 and saved the species from extinction. Other sources say that he himself bred the species further into a commercializable version. Nowadays, pinebeeries are available all over Europe – only 10 years after de Jongh finished his project. They are part of a larger wave of “agricultural innovations” entering the markets. Another prominent example include sweet lupines. Some say this innovations are very needed, other are of course hesitant. In any case the world is on the move.